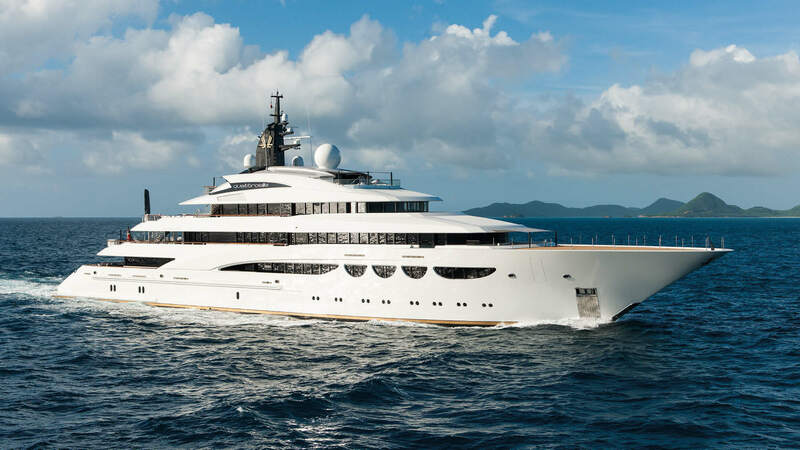 Sold and built under the supervision of the Moran Yacht & Ship new construction team, this spectacular 288′ (88m) Nuvolari Lenard designed superyacht is indeed one of the finest yachts available for charter in the world. Featuring 8 majestic staterooms all equipped and decorated with the most beautiful marbles, stone and exotic materials, QUATTROELLE has something for everyone. This includes a massive gymnasium designed by Usain Bolt, a huge swimming pool, helicopter pad, an expansive spa with hairdressing salon, two guest jacuzzis, a private massage room and incredible outdoor deck spaces. Whether you are looking for adventure or relaxation, QUATROELLE will surely provide an unforgettable experience.